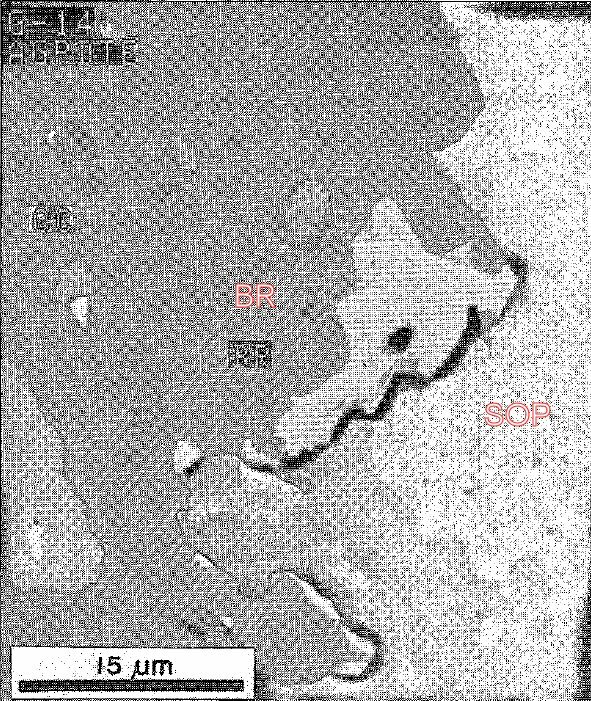 Comments: B&W iamge of coarse- and fine-grained sopcheite (white SOP) occurring at the margin of bornite (BR) that has replaced chalcopyrite. (CanMin, v28:489). Location: Geordie Lake Intrusion of the Coldwell alkaline complex, northwestern Ontario, Canada.